Uncorrected refractive errors (e.g., myopia, hyperopia and astigmatism) are significant causes of preventable visual impairment, blindness and disability. According to the World Health Organization (WHO), 158 million people are visually impaired, due to uncorrected refractive errors, including 8.7 million people who are blind. Lack of awareness and inability to access or afford services are the primary contributing factors. The objective of the project was to establish community-based vision care services for older adults and to contribute to the improvement of vision and quality of life for the elderly in Quoc Oai district, Ha Noi, Vietnam. 4. Improve the capacity of private optic shops in Quoc Oai to provide high-quality eyeglasses for those who have refractive errors. In order to achieve the project’s objectives, a series of activities were organized, including: capacity building for the collaborators; technical training for the service providers; and communication activities targeted at increasing the awareness of people 45 years and older at the project sites. 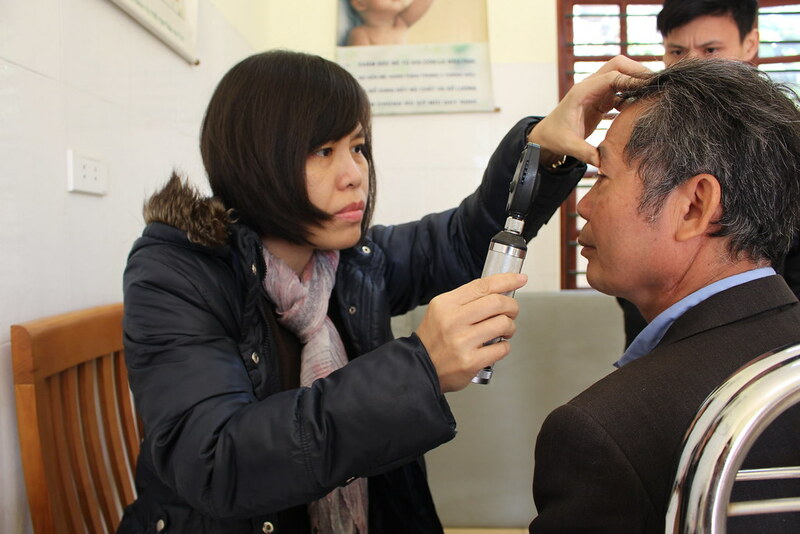 The project was successful in building capacity for vision care in Vietnam. Sixty-seven project collaborators and heads of commune health centres were trained on community-based vision screening and communication skills. 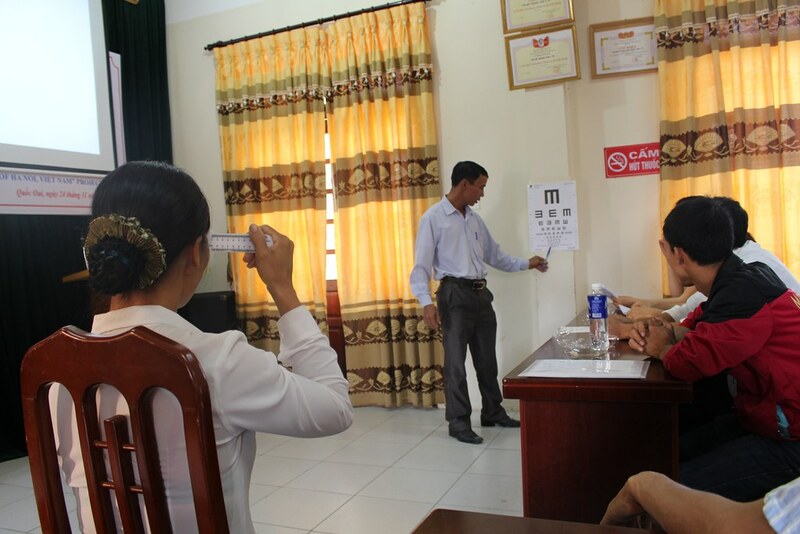 Five health personnel (ophthalmologists and refractionists) in Quoc Oai District Health Center were provided with hands-on training in conducting eye examinations for the elderly by an expert from the Vietnam Institute of Ophthalmology. · 10,000 people in the target age groups in project areas were reached with educational messages on presbyopia and other eye health conditions. There was also regular monitoring and evaluation conducted by Helen Keller International (HKI) staff and local partners, and by a Knowledge, Attitude and Practice (KAP) Survey, a survey that was conducted to study access to presbyopia-related services. The final evaluation of the project was conducted by independent consultants. Following the achievements of this program in Quoc Oai District, government stakeholders – the Ministry of Health, the Hanoi Department of Health, the Vietnam Institute of Ophthalmology (VNIO), the National Committee for Blindness Prevention and Control, and the Quoc Oai District Health Center – all recommended a replication of the program model. 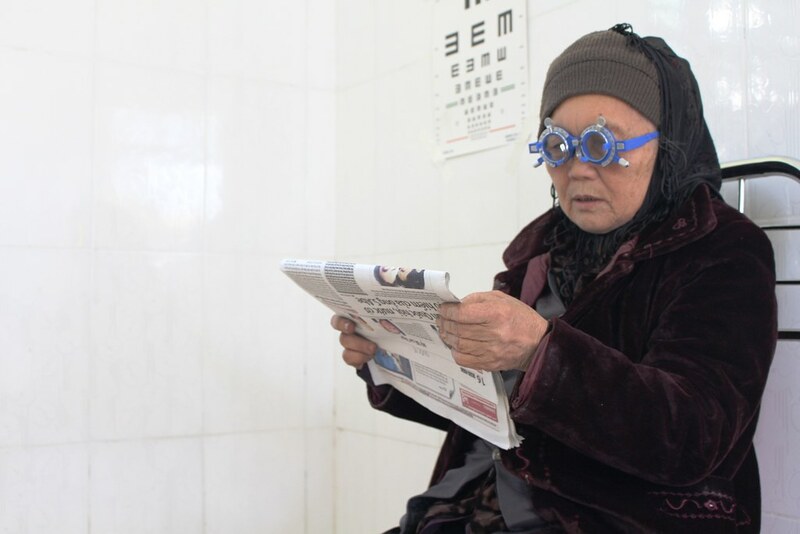 The high prevalence of presbyopia revealed by this study highlights an unmet eye health need for a substantial number of people in Vietnam – an estimated seven million people in the country are aged 45 years and older.